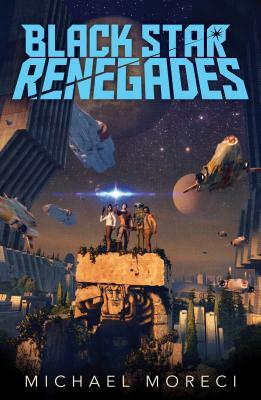 Blending the space operatics of Star Wars and the swagger of Guardians of the Galaxy, Michael Moreci's Black Star Renegades is a galaxy-hopping adventure that blasts its way from seedy spacer bars to sacred temples guarded by deadly creatures—all with a cast of misfit characters who have nowhere to go and nothing to lose. "This book really, truly feels like the next big thing. It’s not a shocker that combining Star Wars, Guardians of the Galaxy, Lord of the Rings, and classic pulp would result in an awesome story, but it is surprising at how Moreci is able to take all those elements and make them into something that feels fresh. If you like any of the franchises we’ve mentioned in this review, you’ll like Black Star Renegades."